Storm has spent her whole life fighting for survival and acceptance. Now she finally feels at home in the Wild Pack, and for the first time she can remember, the world beyond their camp is at peace. Yet within the Pack, tensions are rising. Some dogs are far from satisfied with the Pack order, and others still don’t trust Storm and Arrow, the only two Fierce Dogs within their ranks. Worse, Storm fears her Packmates might be right. Troubled by dreams of fear and shadows, Storm isn’t sure which is the greater threat—the darkness brewing within the Pack . . . or the darkness within herself. 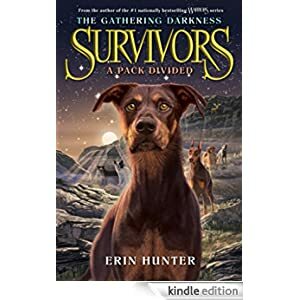 This adventure book is for readers in grades 4-6 and is selling for $1.99 today.